To our knowledge, this is the finest reproduction of the 1948 Eames RAR Chair (Rocking-Armchair-Rod) made anywhere in the world. Constructed around a premium grade, multi-coated White Fibreglass shell, the 'Eiffel' base sits atop wooden rockers made from FSC® Certified Beech hardwood, while the inner shell is upholstered in a choice of 100% Danish Wool or Italian Aniline Leathers. The Eames RAR Rocking Chair Upholstered (Collector Replica) comes with a Five (5) Year Warranty free of additional charge. Premium 100% natural Cashmere or Wool in fabric options. Premium 100% top grain Italian Leather or full grain Aniline Leather. Cushions are Engineered High-Density Foam. This premium quality foam ensures both superior cushion shape & fit, and high durability and cushion life. Engineered High Density Cold Cured Foam (pre-molded into shape) ensure superior cushion shape, fit and durability. 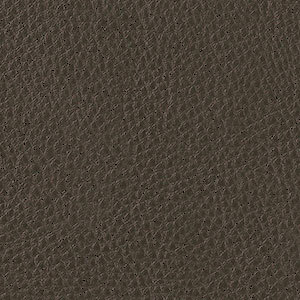 All surfaces are 100% leather (Leather options). All piping, buttons and straps are 100% leather (Leather options). Constructed around a "Dimension True" curvature fibreglass shell. Plywood has been heat and pressure molded for additional strength. Joints are fully welded, grinded, sealed and sanded; Nylon webbing. To our knowledge, this is the finest reproduction of the Eames' RAR Rocking Chair made anywhere in the world. Constructed around a High Gloss Fiberglass shell, it is available in luxurious Cashmere Wools (sourced from NZ / Denmark / Korea) and Italian imported full-grain Aniline and antique Waxed Aniline Leathers.